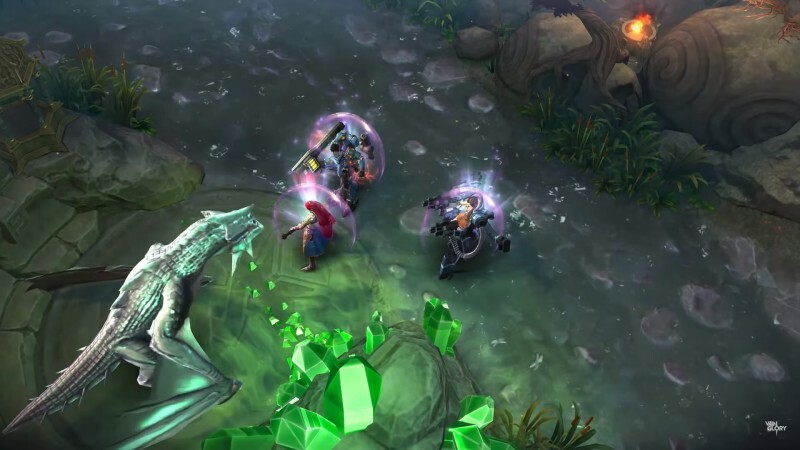 Vainglory, the multiplayer online battle arena game which launched back in 2015 on mobile platforms, is coming to PC in 2019 and Super Evil is pushing for cross-platform play out of the gate. Kristian Segerstrale, Super Evil Megacorp’s CEO stated, “We believe gamers are gamers on any device and deserve to play together regardless of their native platform or preferred control mechanism. He also explained that the company is, “building toward a post-platform vision where gamers can play and compete with anyone, anywhere.” Super Evil is partnering with NetEase, Inc to support its cross-platform endeavors in China. This is a vision not shared by everyone in the gaming industry. In the wake of E3, Sony came under fire for opposing cross-platform play on the PlayStation 4. The former Sony Online CEO only added fuel to the fire when he indicated Sony’s reluctance was all about money. Vainglory 4.0 will be available for free on Windows, macOS, iOS and Android in early 2019 but you can play the open Alpha today. The game will feature cross-platform play, a re-worked cross-platform UI, improved communications, and new event based game modes. Super Evil also announced that Vainglory 4.0 would be releasing on consoles in 2019 sometime after the PC release. If you want to learn more about Vainglory, we spoke with Kristian Segerstrale on predatory behavior in the mobile market and the making of Vainglory’s 5v5 mode.